Summer 2011, has a trend in its hands, that to most would be considered a “novel” idea, groundbreaking, or even a tad modern. But in all reality, the Novelty trend has always been around. The brands that everyone has come to love, gracing t-shirts and bags is a true American staple, perhaps as timeless as Ralph Lauren’s pique knit Polo’s. 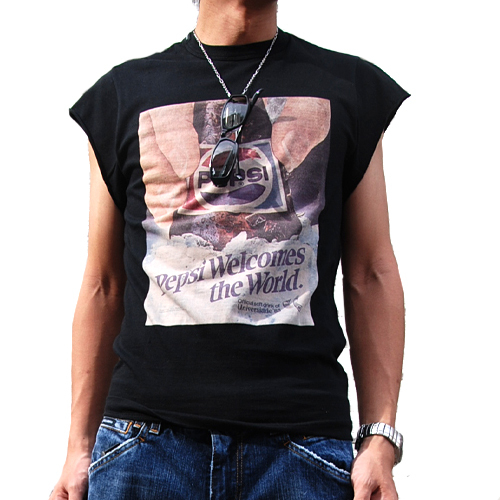 Fashionistas around the globe, as hard as it may be to admit, have at least one novel chic Tee in their closet. Hell, we may even have several, maybe even dozens. “I’m a sucker for a good Super Hero or two”. From Coca-Cola, to Bands, or even any images that conjure up a childhood gone by, The Novel side to any company in branding themselves into fashion is not only a trend, its as classic as Coca-Cola. After all what’s a brand without a great line up of merchandise? But, really what is it about the Novel approach to fashion that we all seem to come to love? Is it the product that graces the cotton shirt, or is the persona of the project that one cant help but wear, rather than only using it, or speaking of it. Fashion and its messages never seek to amaze, My Pepsi t-shirt makes for a great Sunday Funday, and makes for even greater profit for the Pepsi name. I cant help but wonder, have we become so brand integrated that we are now wearing the commercials themselves, Its clear that the obvious endorsement of the project is clearly stated in the wearer. Like it or not, brands have essentially become an image of cool, of course being image savvy is a lifestyle Which, to most lifestyle is the only true definition of fashion. You are what you wear, Fashion is the outer most expression of our likes and dislikes. Maybe the product that we tend to promote on our sleeve, “literally”, is as much a part of our lifestyle as what we choose to wear. From Marvel comics, to Pepsi, or (those cant help but want), Team Jacob T’s, The novel T-shirts of yesterday and today are setting us up for tomorrow’s Novel Revolution. 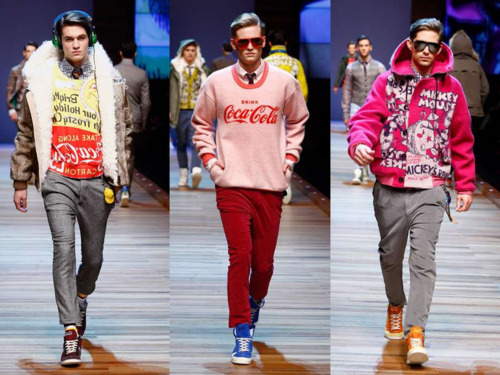 Dolce & Gabbana for S/S 2011, showed Disney Chic T’s that for sure will be seen in City Street corners from New York to Milan soon. 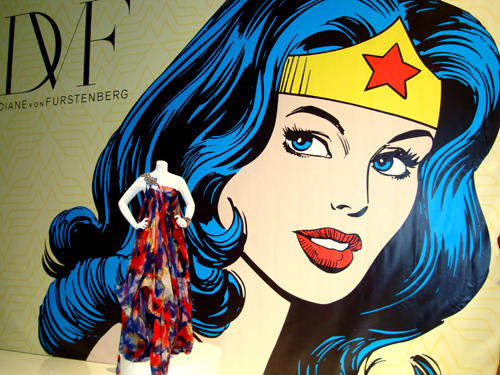 H&M as well took a piece of that Disney Dynasty Cash Cake (did I mention Disney now owns Marvel) Superhero’s tees are as equally trend setting. Novelty, as trendy as it always has been, or as consumer driven brand addicts we may seem to be when wearing them, bottom line, who wouldn’t want a Captain America T-shirt! FOR THE SAKE OF Nostalgia, and all the Pepsi talk, i must plug the reason i own several PEPSI Novel-Tees, come on how can you not want to go to the PEPSI STORE after this! Haha! Funny. This is just the reason toerddls are discouraged from drinking fruit juices. My wife’s friend has a 4yro daughter with quite a few cavities AFAIR from fruit juices.